An ambitious plan unveiled by Chinese President Xi Jinping in 2013 to boost connectivity in over 70 countries, the world’s largest ever infrastructure project includes the financing and building of everything from roads to airports and is estimated to cost anywhere from US$4 trillion to US$8 trillion. However, environmental design requirements are not integrated in the project cycle – especially in early-stage project planning – the consequences of which Southeast Asians are sure to pay dearly for in the years to come. 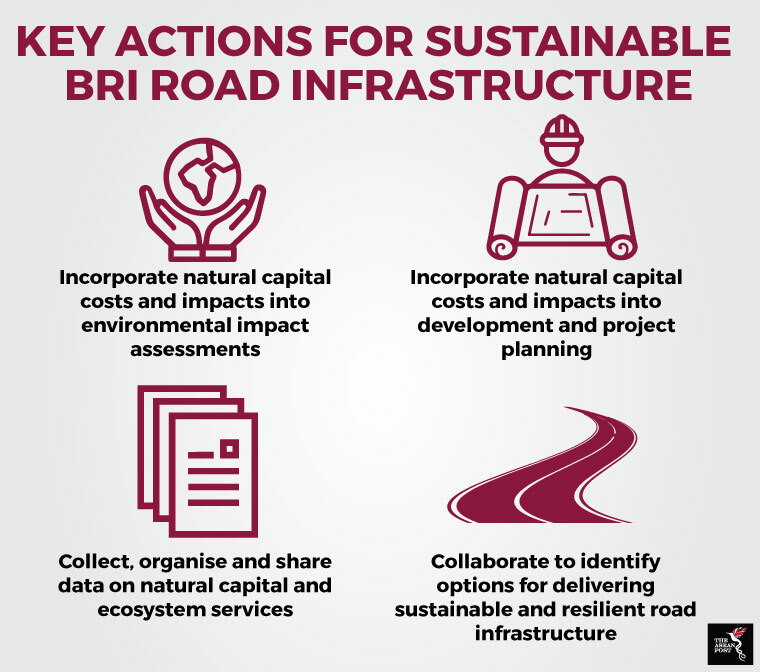 A study titled ‘Greening the Belt and Road Initiative’ released by the World Wildlife Fund (WWF) and HSBC last month found that apart from the lack of information on sustainable and green investment opportunities, getting the BRI to “go green” has not gained the proper attention of the financial fraternity nor the wider private sector. Rich in biodiversity, Southeast Asia’s fragile ecosystems and the many communities which depend on them for survival are especially at risk due to the BRI’s ever-expanding list of infrastructure projects. Chinese-backed hydropower projects along the Mekong River – which spans Cambodia, Lao PDR, Myanmar, Thailand and Vietnam – have seen dams cause river flow changes and block fish migration, leading to a loss of livelihood for communities there which live-off the river. Fish stocks have declined in recent years due to hydropower dams built upstream in Cambodia and neighbouring countries, according to the Fisheries Action Coalition Team (FACT), a group which promotes sustainable resource management. Apart from the loss of flora and fauna, deforestation in areas such as the Pan Borneo Highway – which spans Malaysia, Indonesia and Brunei – also causes landslides, floods and other disaster mitigation concerns. Failure to protect the environment means that local communities will have to find other ways to provide ecosystem services such as clean water and air. The WWF has listed over 1,700 critical biodiversity spots and 265 threatened species that will be adversely affected by the BRI. This is already happening in Indonesia, where the habitat of the world’s rarest great ape – the Tapanuli orangutan – is at risk from a US$1.6 billion hydroelectric power plant currently being built in Sumatra’s Batang Toru forest highlands. One of Indonesia’s most biodiverse regions, the Batang Toru forest is also home to the critically endangered Sumatran tiger and Sunda pangolin. Not only do they have to deal with the loss of habitat, Southeast Asia’s native species are also under threat from the increased connectivity the BRI has created. A study published earlier this month in the Current Biology journal found that the BRI could potentially introduce more than 800 alien invasive species – including 98 amphibians, 177 reptiles, 391 birds and 150 mammals – into several countries along its many routes and developments, threatening their ecosystems. With some species capable of wreaking havoc worth billions of dollars on a nation’s agricultural exports, the study titled ‘Risks of Biological Invasion on the Belt and Road’ presents a chilling side-effect of the BRI’s network of roads, railways and pipelines. While Xi has called for the BRI to be “green, healthy, intelligent, and peaceful” and urged participating countries to “deepen cooperation in environmental protection, intensify ecological preservation and build a green Silk Road,” environmental guidelines such as the Ministry of Environmental Protection of China’s (MEP) Guidance on Building the Green Belt and Road are non-binding and hardly implemented. And as there is no definitive list of BRI projects published by the Chinese government, its impact on the environment will not be confirmed for years to come. “We expect a lot of development in the region due to the BRI, and that will definitely have a negative impact on the environment,” said Dr Ahimsa Campos-Arceiz from the School of Environmental and Geographical Sciences at the University of Nottingham’s Malaysia campus. “I’m not saying there should not be development, but it has to be non-destructive and not just the fastest way to make money. “We don’t want conservation to be an afterthought. Before the developers make the roads, dams or pipelines, they should incorporate ecological values in their plans,” added Dr Campos-Arceiz, who last year co-authored a paper titled ‘Biodiversity conservation needs to be a core value of China’s Belt and Road Initiative’ which was published in the academic journal Nature Ecology and Evolution.